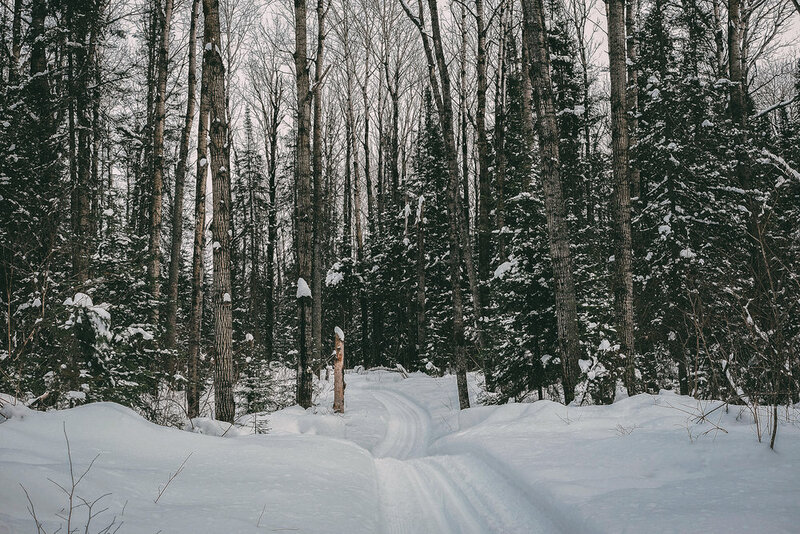 A rustic cross-country skiing weekend in northern minnesota. The good life. Andy Fisher immediately sets the tone of the weekend when you check in for your stay. His jokes for first-timers like us have probably been used hundreds of times; still, each earned a deserved genuine belly laugh. This was our first time at National Forest Lodge. The weekend forecast called for nearly a foot of snow, and we’re here to cross-country ski. We’re far from the first people to book an extended weekend here in Superior National Forest. And when Andy and Lura Wilson took ownership of the lodge, they were far from the first owners. Originally billed as a summer getaway, vacationers have been coming here since the 1920s. This place has seen the Great Depression, a World War, 15ish presidents, and countless people (like us) who are looking to spend time deep in the forest, well away from the obligations and duties of daily life. On a nice day, the drive from Minneapolis to Isabella is about three hours (Mom, I know I drive too fast sometimes). Interstates, to four-lane highways, to two-lane country roads, to forest roads that weave and dip around towering white pines and frozen lakes that speckle this part of the state. A gray wolf jogged across Highway 1 in front of us on our drive in. Though we live in the city, Northern Minnesota feels like home. 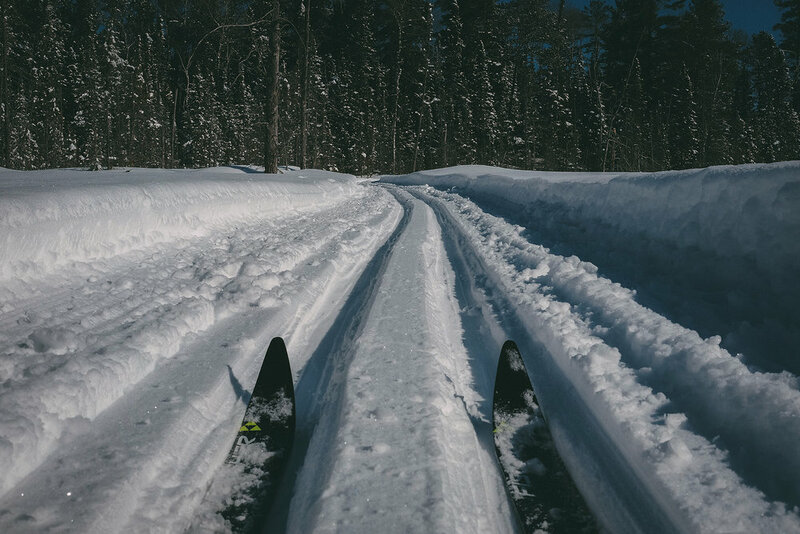 The ski trails around National Forest Lodge are no joke. A snowmobile grooms classic tracks every morning. The Arrowhead region received a solid storm the week prior to our visit and the snow was still perfect for skiing. Conditions were so good, in fact, that we were table to clip into our skis at the cabin and get right into the network of trails. Even the driveways and footpaths of the lodge grounds were soft enough for kicks and glides. But once we crossed the frozen Lake Gegoka, the quality of the groomed trail network was otherworldly. Think about shaking up a city-sized snow globe filled with goose down. The snow was like that. Sticky when it needed to be, but still cold enough to allow for quick downhills. We wound through old-growth pine forests, tamarack-lined bogs, and fir groves that smelled like the best part of Christmas. Ice crystals hung in the blue skies and shimmered with every breeze. It was hard to focus on the trail when your eyes are always looking up in wonder. How did it take me 32 years to visit this place? A snowstorm was forecast to hit the next night. Nearly a foot of white fluff expected. The entire landscape would change. What was a sunny, bright forest became a gray skies and blowing flakes. Crossing the lake to get to the trails was a challenge in itself. A trail that was groomed and carved by previous skiers on Friday and Saturday disappeared Sunday morning. We cut through drifts and covered our faces from the January wind to make it to the opposite shore. Once we were in the cover of trees, the wind vanished and that snow globe returned. Spruce branches hung low with inches of snow cradled by resilient needles. Though we had to cut our own trails in the fresh snow, the extra work was quickly overlooked by the beauty of this new, fluffy world. After days full of skiing, nights come early at National Forest Lodge. The pile of snow on our cabin porch played the role of refrigerator for apres-ski beers. An unadvertised feature of these cabins is that the window latches double as bottle openers (add this one to the brochure, Andy). Enjoy a beer, walk to the sauna, take a plunge in the frozen lake via chainsaw-cut hole, then head to the main lodge for dinner and conversation with fellow winter-lovers. After-dinner hot tub soaking and shower before bed, rinse, repeat. Life is good up here. If you’re going to make the trip up to the lodge, go all in. Book the full three days, bring skis and wax, your favorite bottle of whiskey, and a close group of friends. Spend all day on the trails, and nights in the hot tub. 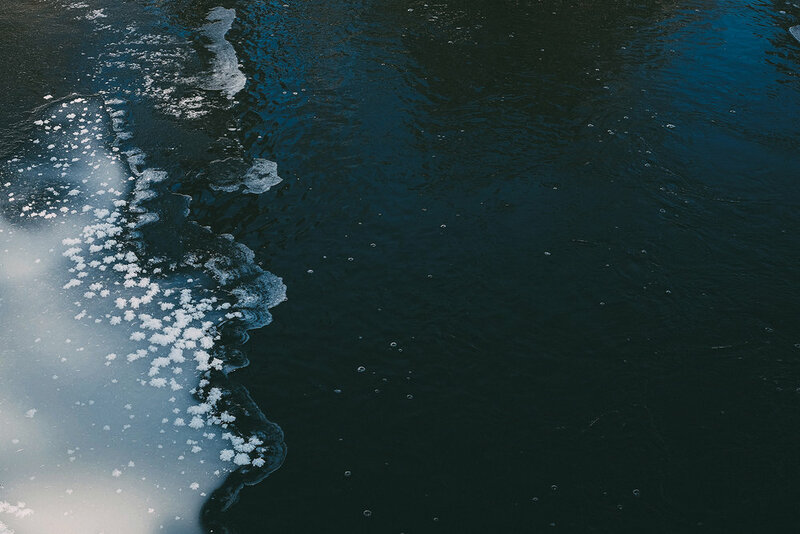 If you go into the sauna, which you should also do, jump into the lake and repeat this cycle until satisfied. National Forest Lodge is a place of wonder, relaxation, and a quintessential part of wintering in the North.